Pikkdogs Pikks Three. Azelf La, Bubble Coat, and Lucario Cl. A big hello to everyone in Omar-Nation. This is Pikkdogs here ready to give you another Pikk Three article. Of course, the Pikk three articles contain three reviews; one for a popular card, one for an underused card, and one for a card from a new or unreleased set. I hope you all got to go to at least 1 Pre-Release event. Even though the Call of Legends Set was not the best, the Pre-Release tournament for this set was amazing. So now that we have that set in the books, we can start getting our deck choices narrowed down for State/Province/Territory Championships. 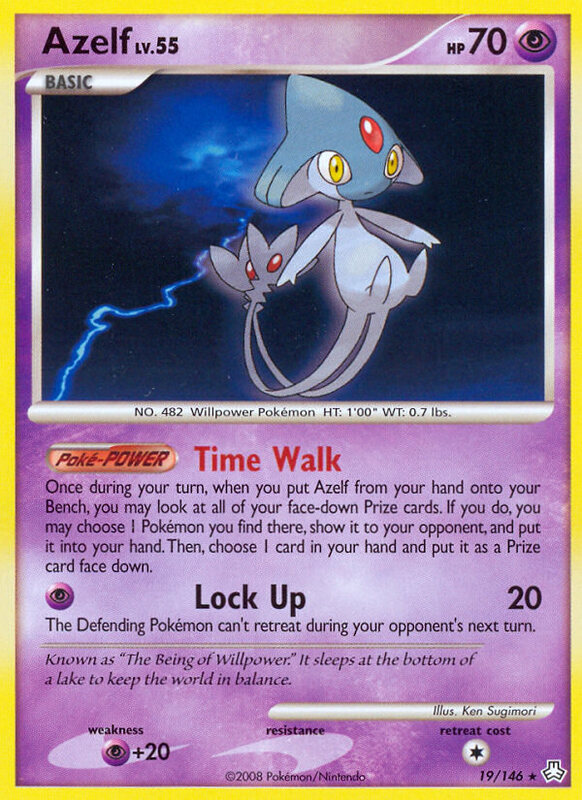 Description-Azelf La has been a widely played card for a while now. It has been used in most decks since they came out. It may not be needed for all decks, but its a must play for all decks that run 1 copy of something, like SP decks do. Continue reading "Pikkdogs Pikks Three. Azelf La, Bubble Coat, and Lucario Cl."